We have lost dear Nuuk, who was originally named Nordman when he was born in Sweden. Skandinavisk Dyrepark in Kolind Denmark posted yesterday that Nuuk had died sometime this winter, possibly related to a flu-like illness. He was 25, a senior bear. He will be greatly missed by his dear friend and constant companion Nanok. Except during breeding season, when Nanok was with Nuuk's twin sister Ilka, the two male bears were almost always together. The park had some wistful parting words on the loss of Nuuk, saying that "Nuuk always had his own opinion about the course of things. 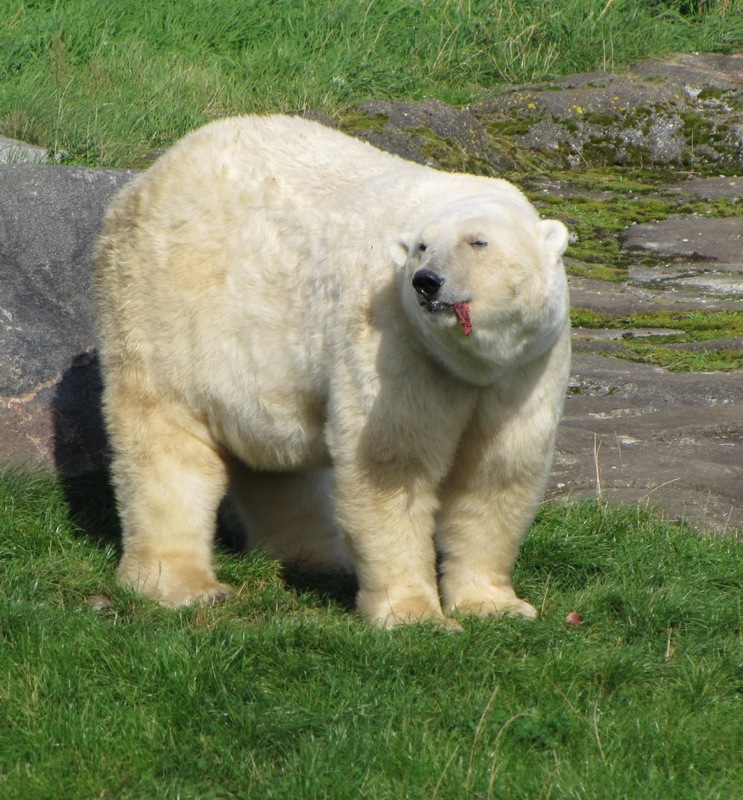 The rest of the polar bear residents had great respect for Nuuk, and it was not something he needed to enforce. They moved completely by themselves when he came walking. Nuuk will definitely be missed." Long before Nuuk was born, Kolmarden Zoo in Sweden had opened in 1965. 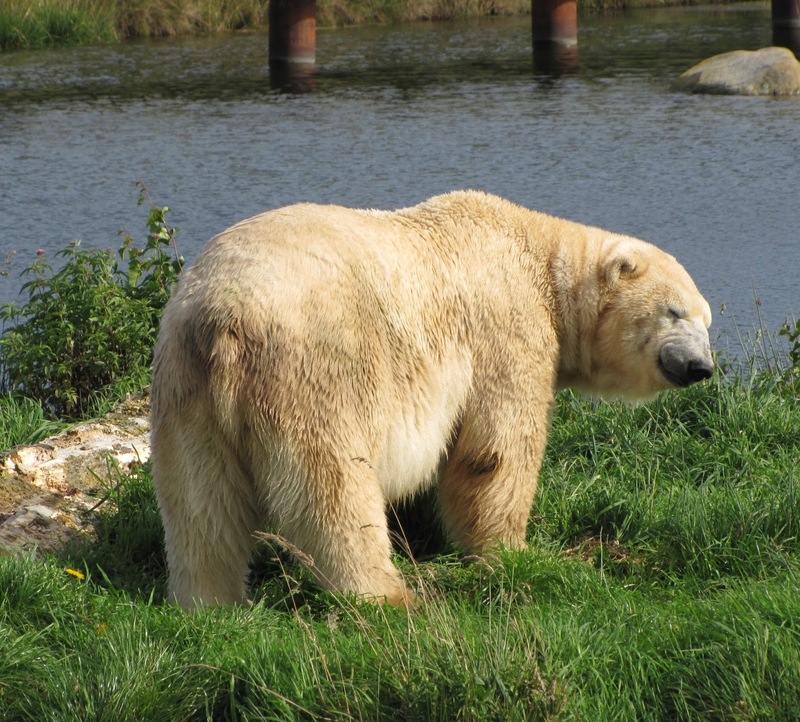 The polar bear habitat opened in 1968, at the time one of the largest in the world with six polar bears. Twins Nordman and Ilka were born December 2, 1993 in Kolmarden. Their father was Imarec, and their mother was C.W., an American-born bear. Nuuk's brother, the late Manasse, who lived in Ranua Finland, was father of Ranzo and Sisu. Nuuk was also brother to the late Yukihime of Yokohama; and Baffin who lives with daughter Momo in Hamamatsu Zoo. Through his father Imarec, Nuuk was half brother to Marissa in Italy, and the famous actress polar bear Agee in Canada. And of course through his sister Ilka, Nuuk was uncle to Siku, Nuno and Nanu. Nuuk's mother C.W. and her twin brother Elvis were born in the Memphis Zoo in Tennessee, USA, and were brought to Europe when they were just a year old. Since Elvis had a musical name, my guess is that the initials C.W. might mean Country Western. The late Elvis became the father of the Osnabruck hybrid bears Tips and Taps. Taps still survives and lives in that same German zoo. 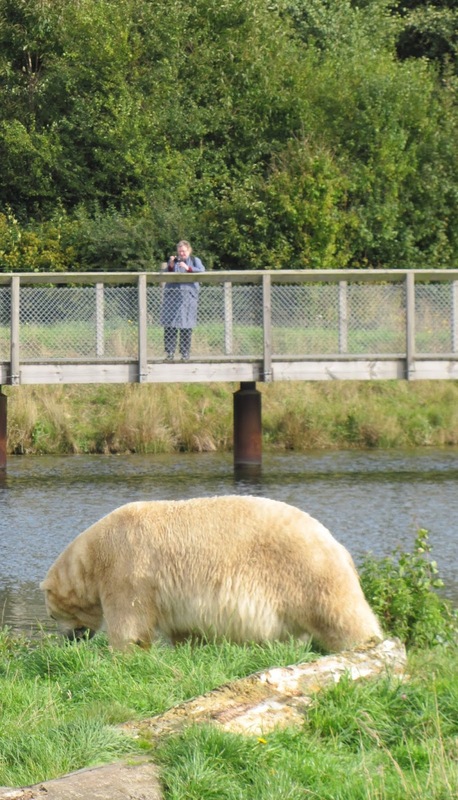 In 1998, 5 year old wildborn cub Huggies came from Ouwehands Zoo, Rhenen, the Netherlands, to Kolmarden. Huggies became acquainted with handsome young Nordman, as he was called at the time. The result was a beautiful cub, Freedom, born December 1, 2001, When baby Freedom was just three months old, Huggies and the cub returned to the brand new polar bear exhibit at Ouwehands. In January of 2006, 12 year old twins Nordman and Ilka moved from Kolmarden, and at the same time, four year old Nanok, born in Belgium, came from Ouwehands to Skandinavisk Dyrepark. 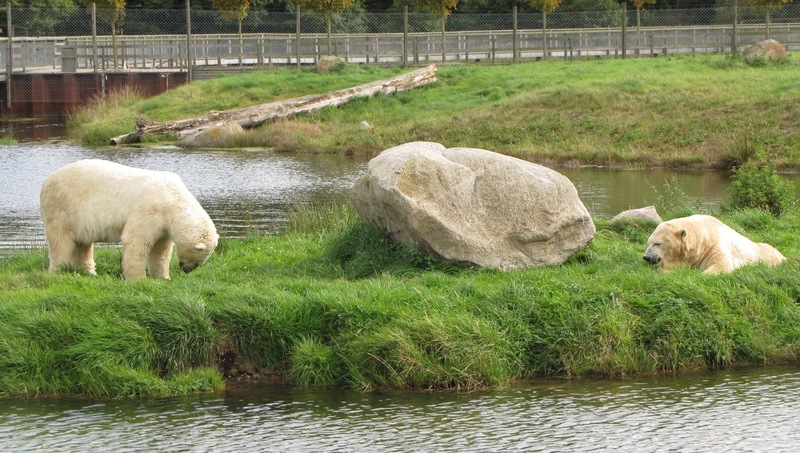 The three were the new park's first polar bear residents, finding themselves in a spacious and natural polar bear paradise. Skandinavisk Dyrepark is unlike any other zoo. 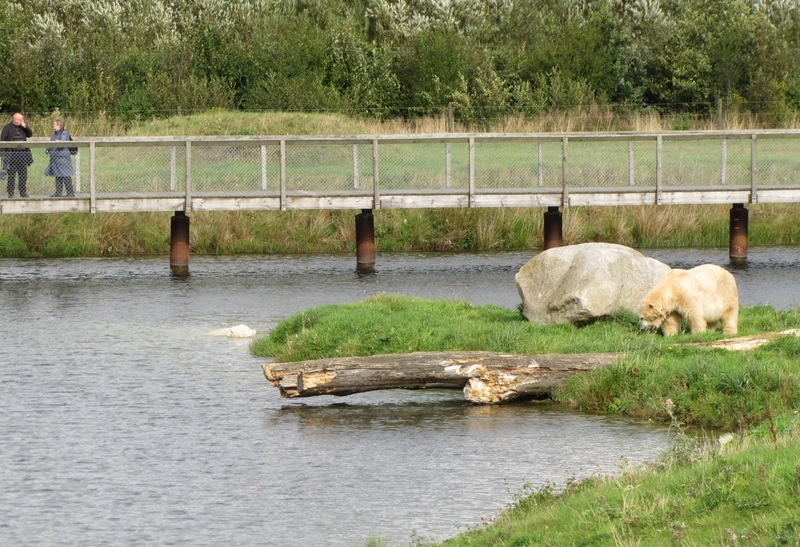 The visitors can watch the bears romp and play in huge meadows and a magnificent meandering wooden footbridge provides a close but safe vantage point to view the big furry residents as they swim in the lake. In Denmark, Nordman was renamed Nuuk. It seems that someone decided Nuuk's breeding days were over so he was neutered, maybe so the boy bears would get along better. Young Nanok had been brought to the park from Ouwehands as a mate for Ilka, and as a friend for Nuuk. The boys really hit it off and the relationship continued right up until Nuuk's death. 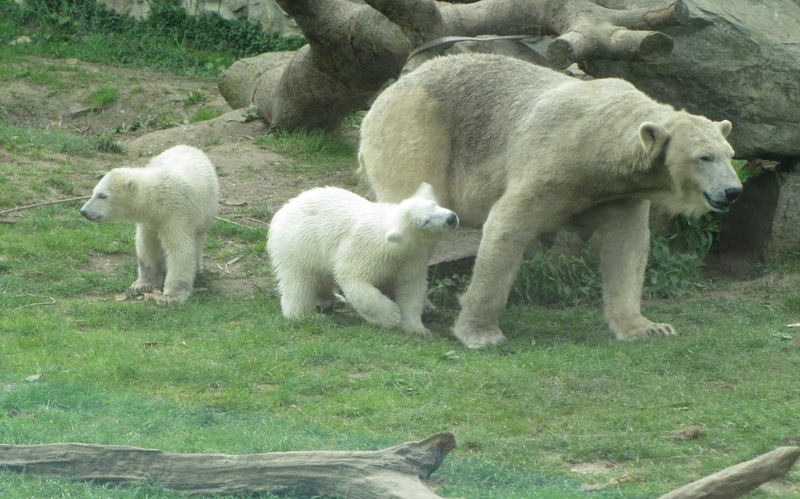 Nanok and Ilka have had three cubs, Siku, and twins Nuno (girl) and Nanu (boy). 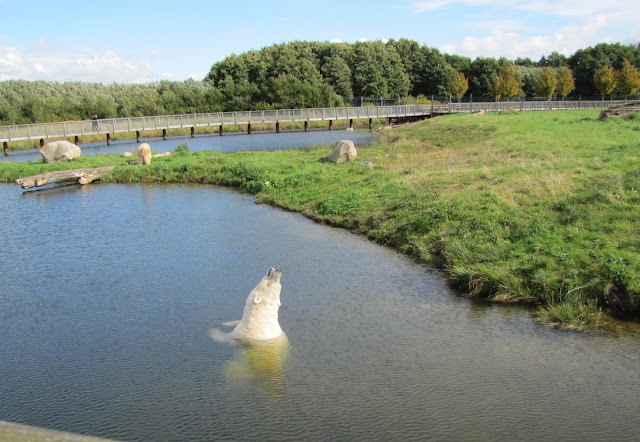 Nanu has moved to the Netherlands, but Siku and Nuno are still in the park, along with Mother Ilka, and a Russian bear named Boris, sometimes called Ivan. 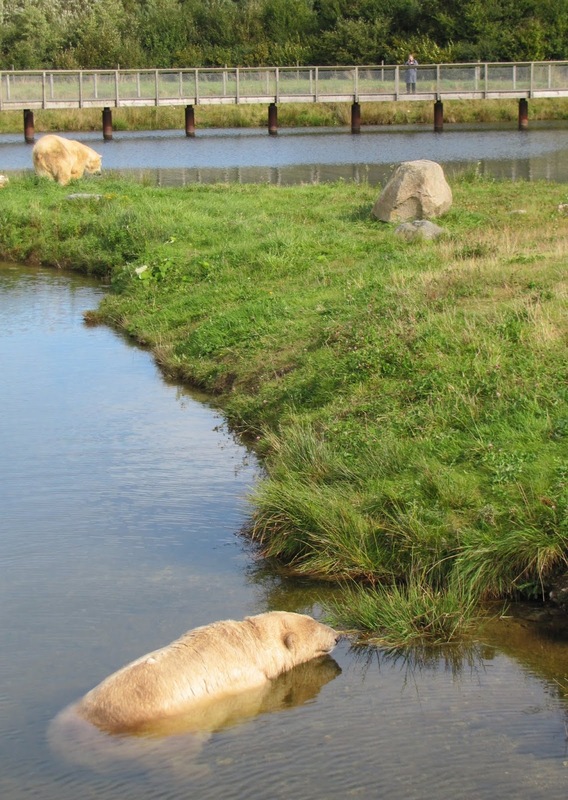 With the loss of Nuuk, there are five polar bears in the park. Through his daughter Freedom, Nuuk left quite a legacy as grandfather to Sprinter (now in Hanover), Sesi (in Mulhouse France), Taiko (in France), Akiak (in Rostock) and Sura (still in Ouwehands), and great grandfather to Miss Nanuk in Mulhouse. Since Nuuk's mother C.W. was born in Memphis, Nuuk was related to some of our American bears. C.W. 's half sister, born in Memphis, was Chinook, later of Salt Lake City's Hogle Zoo. Chinook was mother of the late Aurora of Rochester, Anana currently of Cincinnati, and Kiska and Koluk of Albuquerque. Nuuk's aunt Chinook is also grandmother to Luna (Buffalo), Anoki (Rochester), Lee (Columbus), Anana (North Carolina) and Hayley (Memphis). 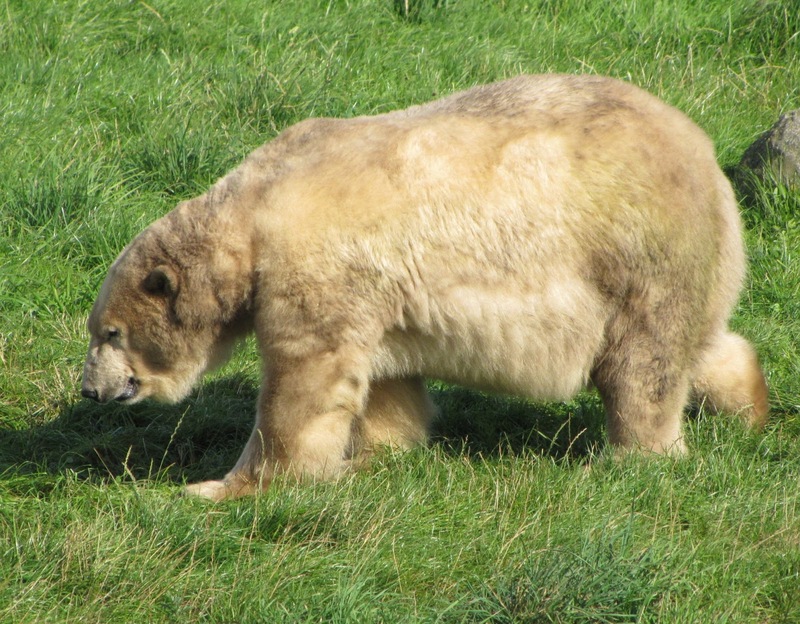 Nuuk's aunt Chinook was also mother of Denali, born in the Hogle Zoo in Salt Lake City, who now lives in Japan. Denali is quite the favorite at the Sapporo Zoo and the father of eight cubs. It's sad to say goodbye to such a lovely bear. He had a good long life in a beautiful place, and had the companionship of his best friend all those years. He will be missed by so many, especially his pal Nanok. Molly I love these stories of the grand old bears. Nuuk will join the hunting grounds in the ice fields. Nuuk was loved and had the company of other bears. The critics of zoos fail to understand the quality of life the bears can enjoy compared with the hardships of the wild.